2 days, 3 stages, 44 acts, 40,000 people. Think of the best party you’ve ever been to and multiply that by…10. That’s what you get with ZoukOut, a guaranteed party fest from dusk to dawn. And when we say dawn, think 7AM! 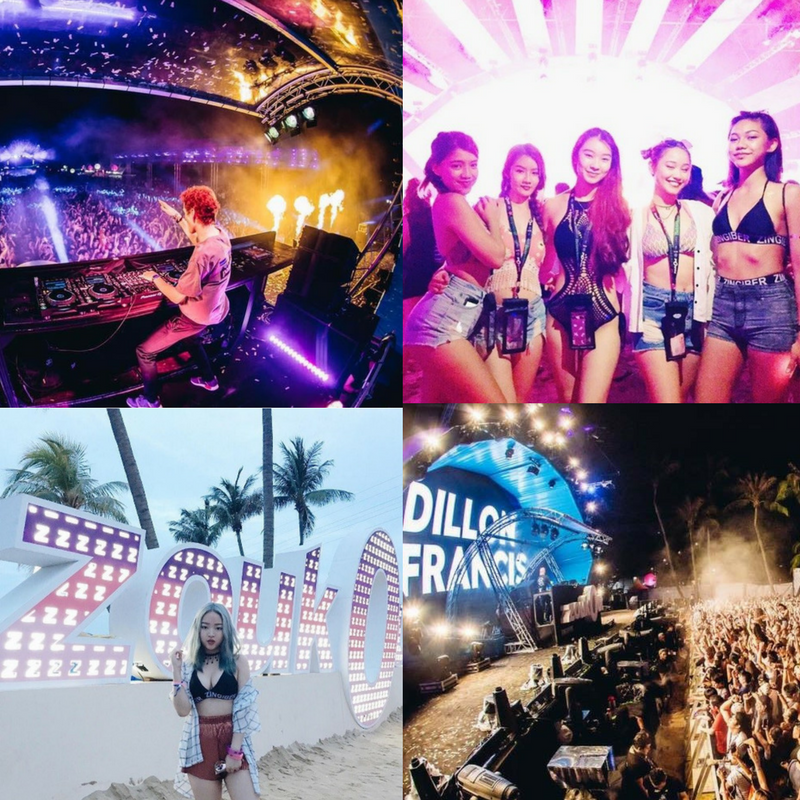 Well into its 16th year, ZoukOut Party doesn’t seem to be slowing down one bit. Judging by what went down last weekend, it only seemed to be an even bigger blast each year. With a massive line-up boasting headliners such as Hardwell, Zedd and Martin Garrix, nothing feels like jumping along with the crowd singing hits like ‘Clarity’ and ‘Animals’. Although beware, you might end up just like this dude here after a non-stop 3 hour jump. Babes, booze and good music, what could go wrong? And when the DJs start slamming those decks, you know things are about to get wild. Like real wilddddd. Especially when the bass drops, what better time to hit off your high jumping skills and bounce along with the crowd? It’s been an hour straight of jumps and screams of “I love you Hardwell!”, you’d probably want to take a breather. Refresh in an instant with some ice cold beer with the girls and discreetly slap on some powder to mask the sweaty complexion. After all, what are pictures if you don’t look good in it? …and not end up like this. And of course for the big finale, there’s nothing quite like the spectacular sight of dazzling fireworks to cap off the memorable night with the squad. Come Sunday, you can already spot the ZoukOut festival-goers from their panda eyes and awkward walk (no thanks to sore leg muscles). And not to mention, the countless vomit sessions from the bestie. But all was definitely worth it! Thanks ZoukOut 2016 for the massive blast and we can’t wait for another great year ahead!